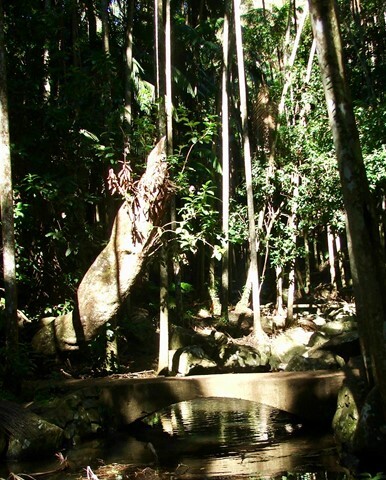 Queensland's first National Park (Witches Falls) in 1908. 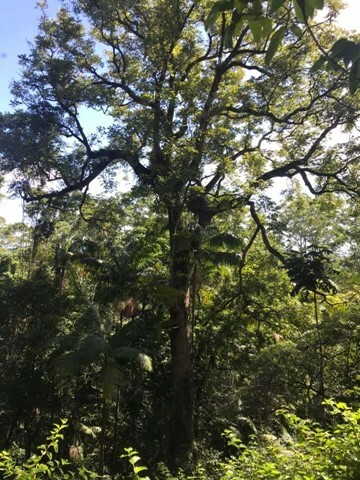 Palm Grove 1925, Joalah 1927. 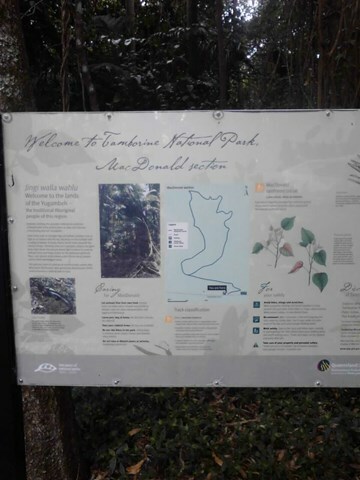 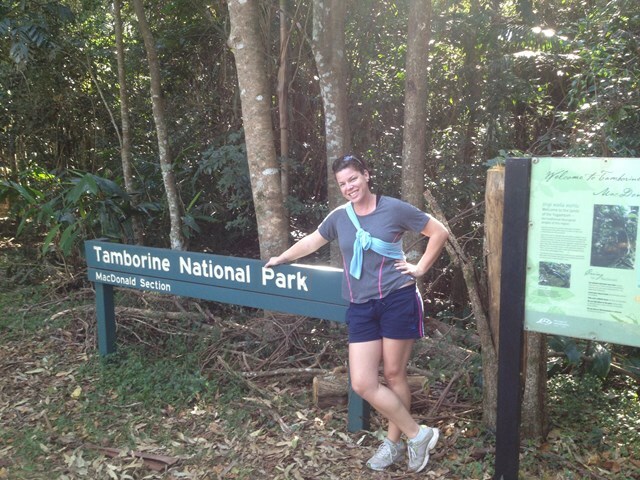 There is an information centre on Tamborine mountain. 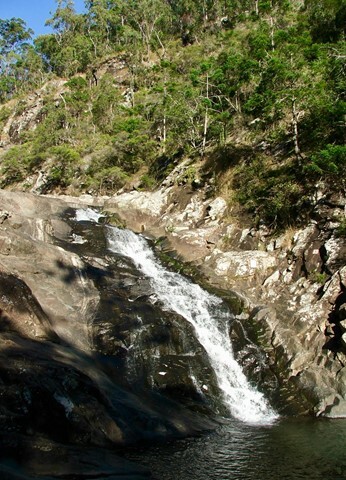 From Cedar Creek Falls lookout, descend through eucalypt forest and dry rainforest to the rock pools below. 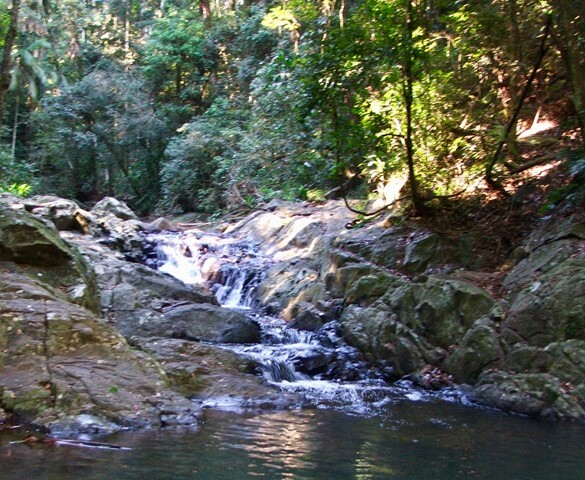 Take your swimmers and immerse yourself in the cold cleat water of any of the three pool. 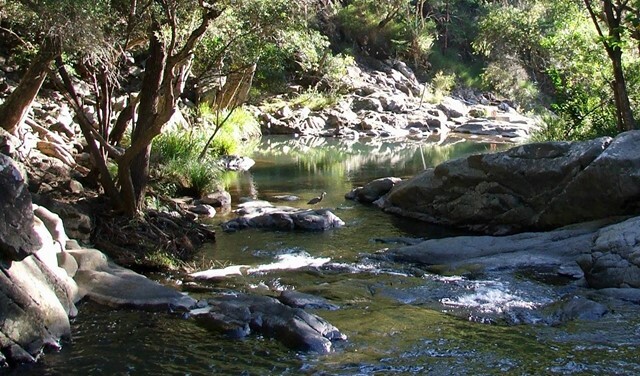 If you are swimming, please be aware that there are many hazards in natural waterways. 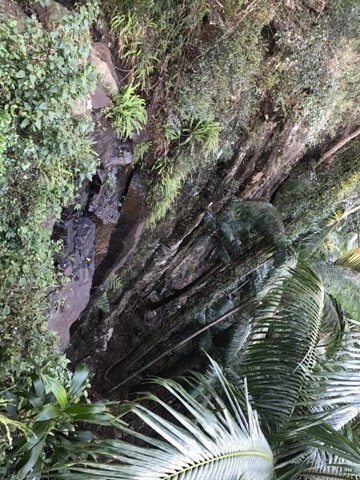 Do not dive or jump into the pools. 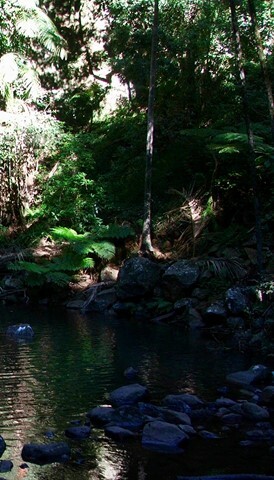 This enchanting walk begins in wet eucalypt forest beneath towering flooded gums. 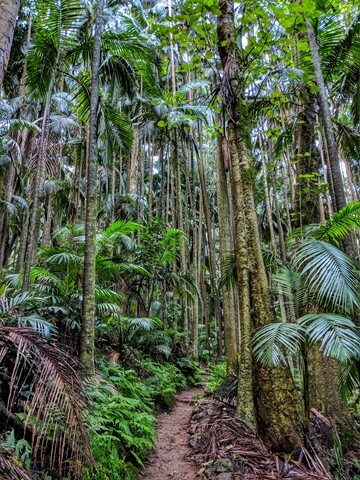 Notice a drop in temperature as the wet eucalypt forest merges into lush rainforest. 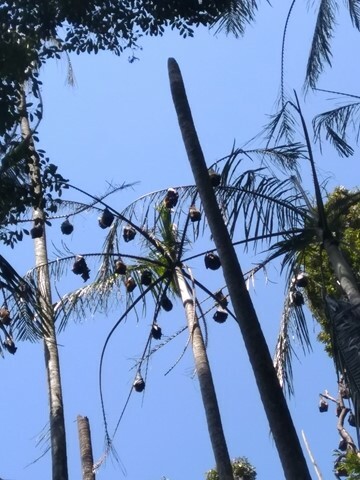 Beautiful crows nest and staghorn ferns can be seen in the canopy above. 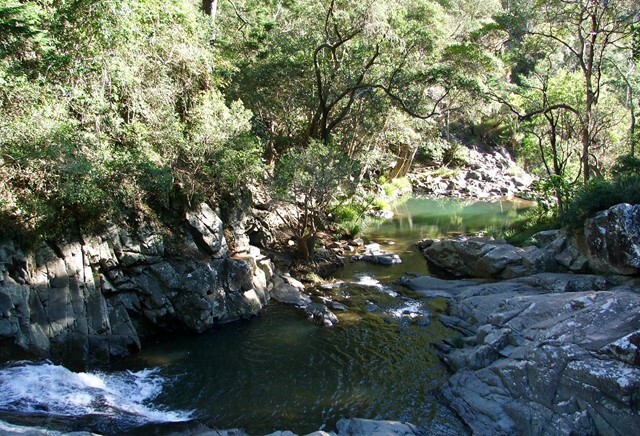 The rock pool and surrounding basalt rock face provide important glow-worm and platypus habitat. 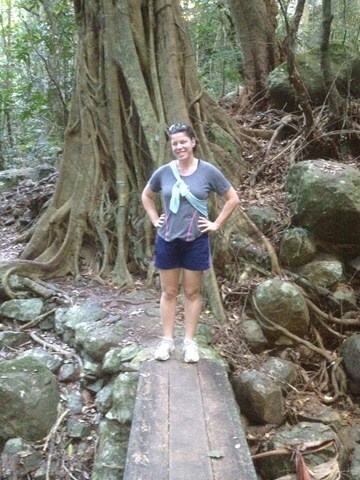 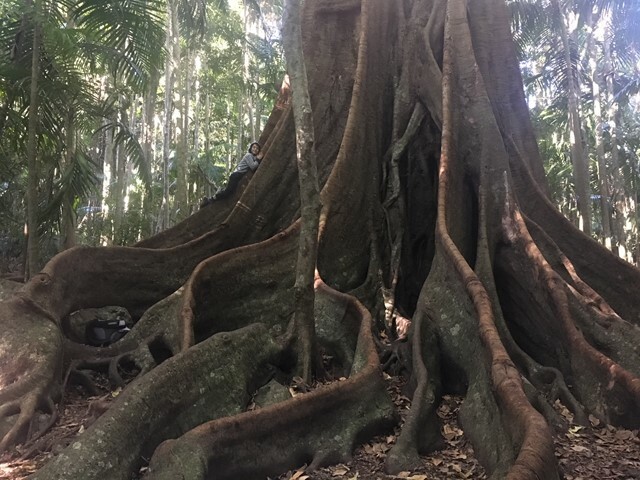 Branching off the Curtis Falls track, the Lower Creek circuit crosses Cedar Creek before passing a giant strangler fig. 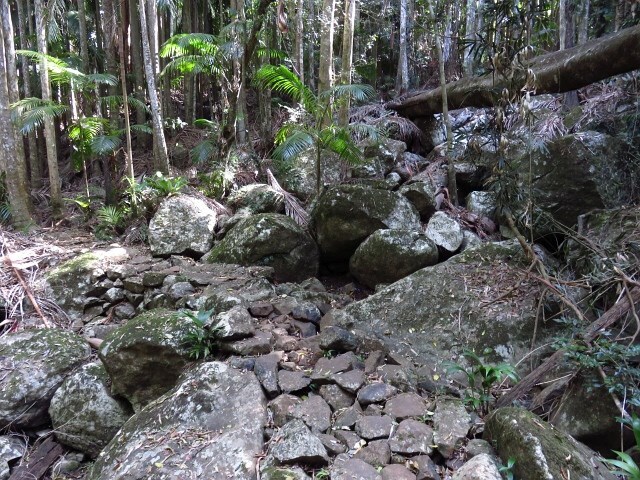 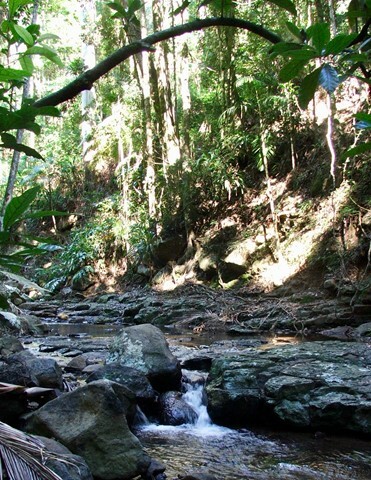 Beyond the strangler fig, the track has an uneven surfaces, creek crossings that involve rock hopping and natural hazards are likely to be present. 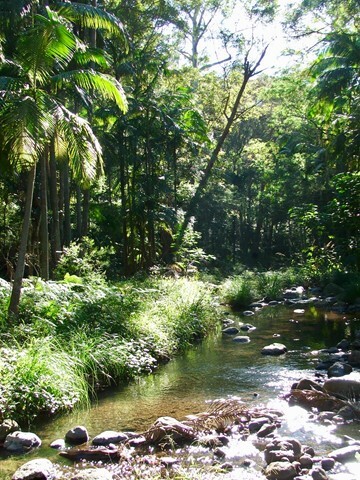 Notice basalt boulders and columns on this creek-side rainforest walk. 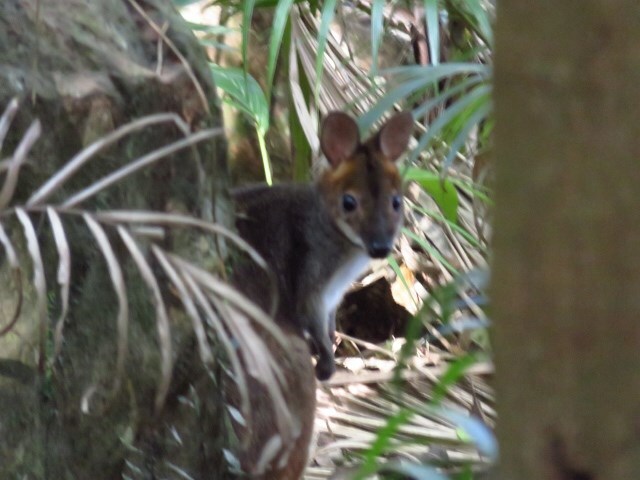 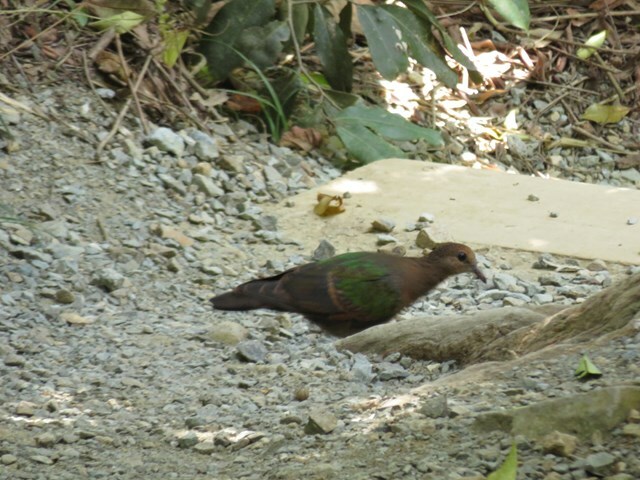 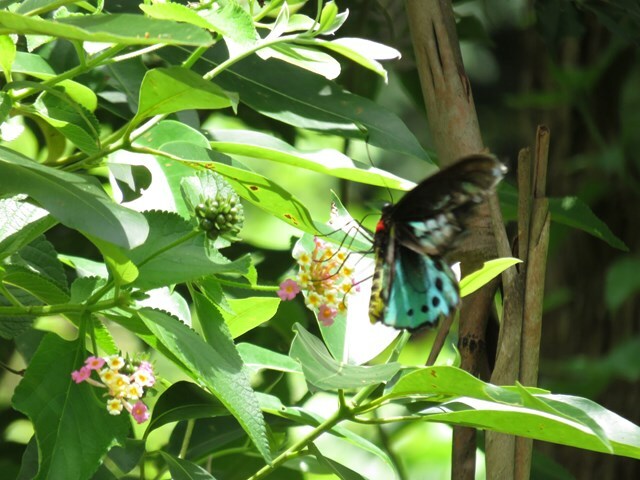 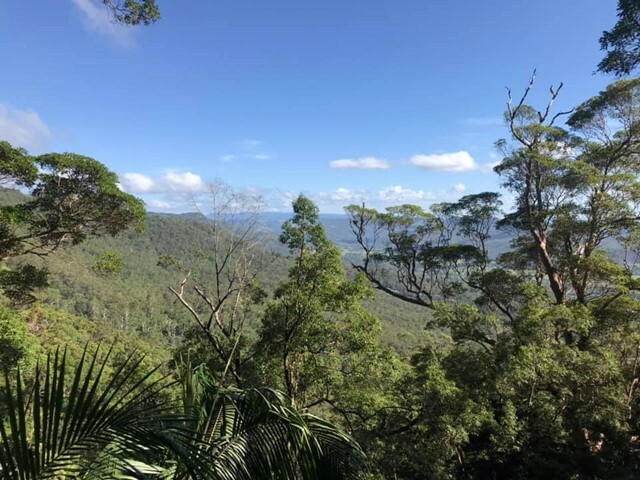 This precious tract of subtropical rainforest was named after Miss Jessie MacDonald, who generously donated part of this area to become a National Park in 1933. 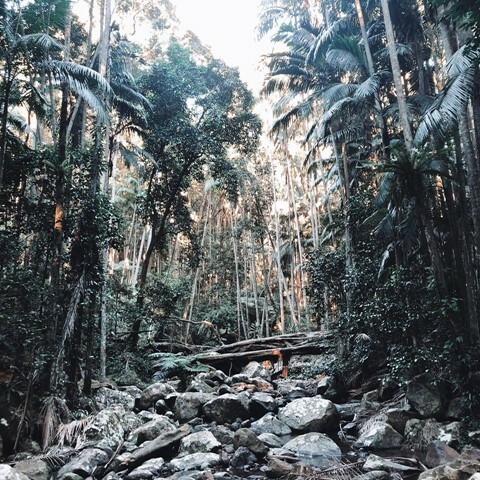 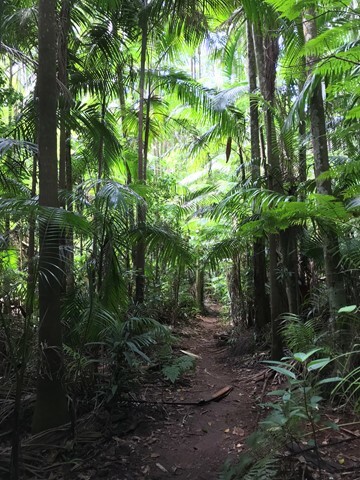 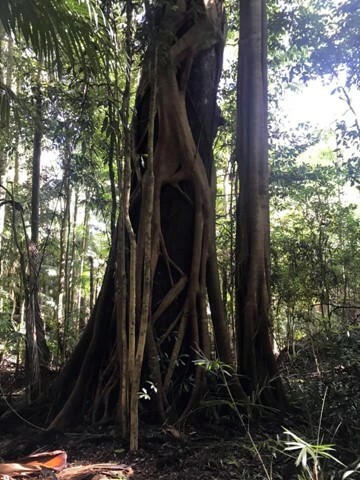 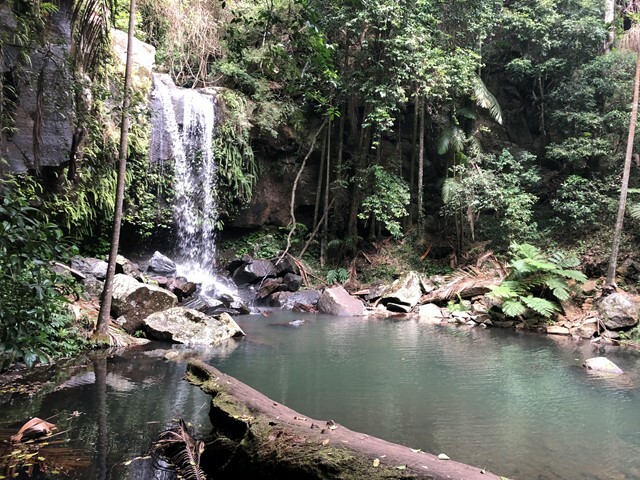 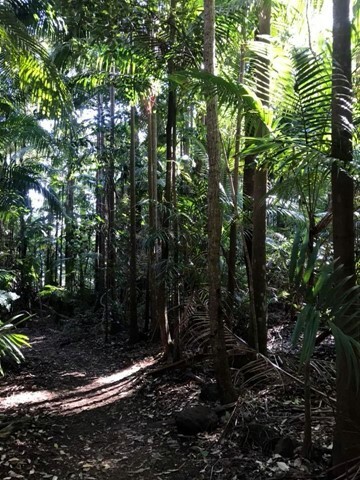 This short, easy grade walk features towering strangler figs and lush groves of piccabeen palms, just south of the Tamborine Botanic Gardens. 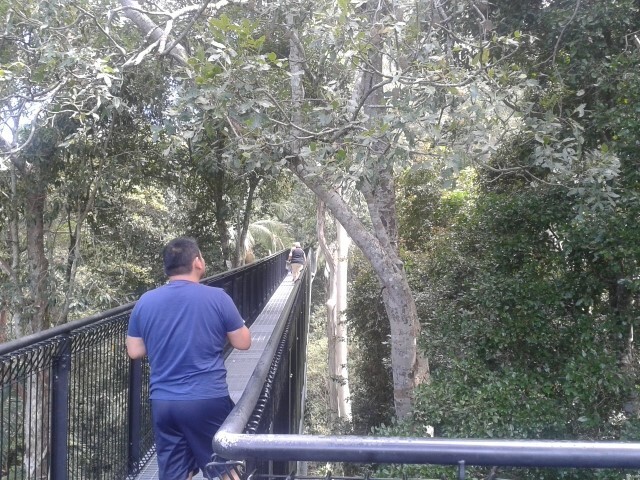 A spectacular elevated walkway through the beautiful middle and upper canopies of the rainforest. 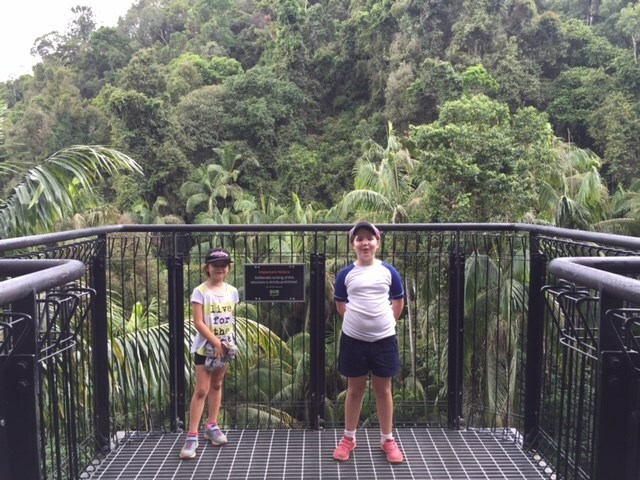 The walkway is a stable, high-tech steel structure enabling visitors to explore these canopies in a safe and secure way. 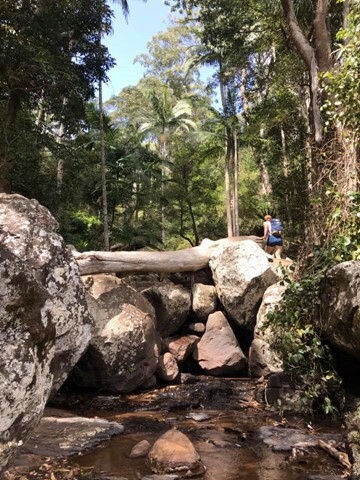 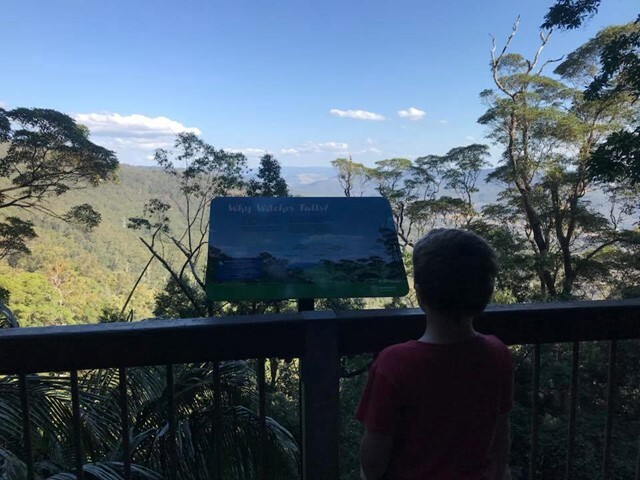 It descends gradually to the lower canopy and follows points of interest including rock pools and tumbling creeks, a butterfly lookout, local history enclosure and sheltered rest areas along the way until reaching the amazing Cantilever. 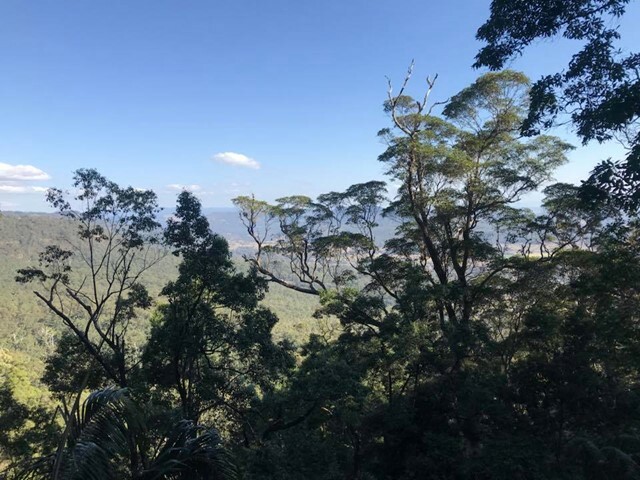 This is a 40 metre long span soaring 30 metres above the valley, with spectacular views over the creek and the rainforest canopies below. 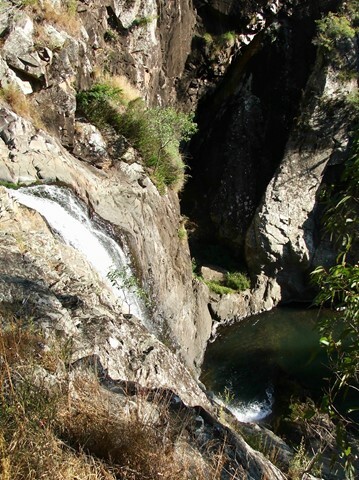 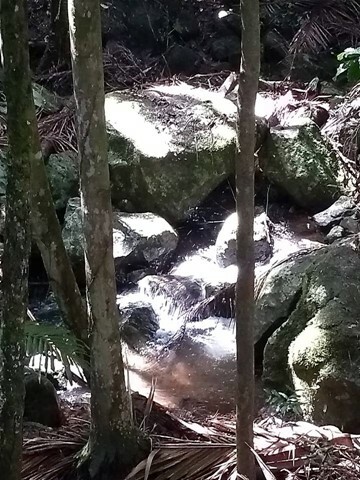 Witches Falls is Queensland’s first National Park, declared in 1908. 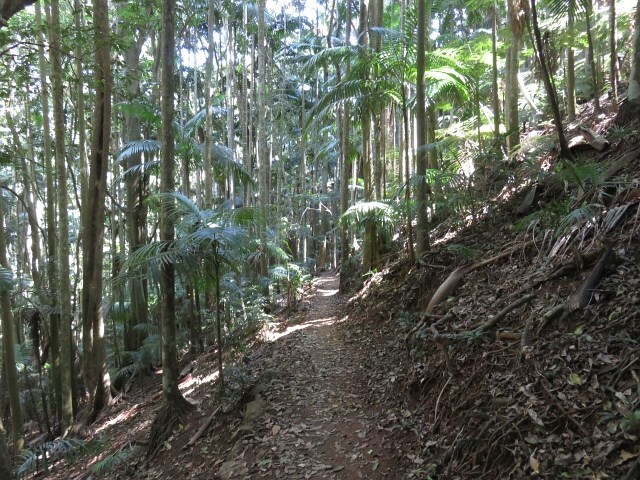 This track leads through rainforest with large red cedar trees and eucalypt forest to Witches Falls lookout. 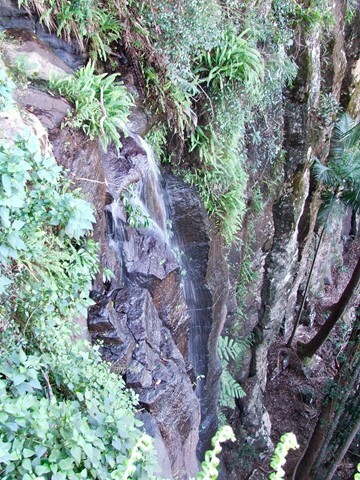 The waterfall only flows after recent rain and is best viewed from the lookout platform. 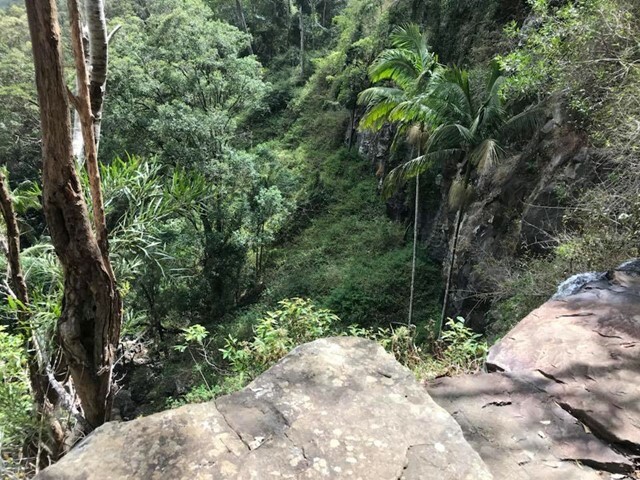 Return by the same route, or extend your walk by 3.1km by completing the Witches Falls Circuit, which starts just beyond the lookout. 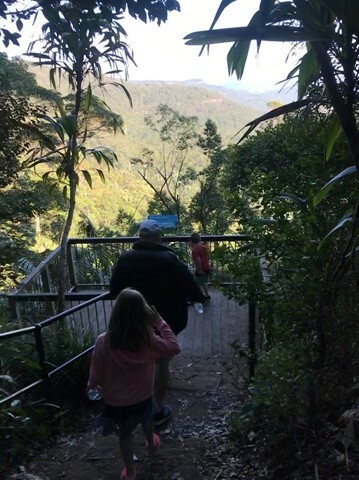 This is an easy walk. 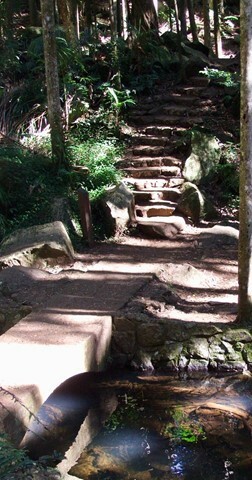 In the afternoon this walk is prone to high temps in the exposed areas. 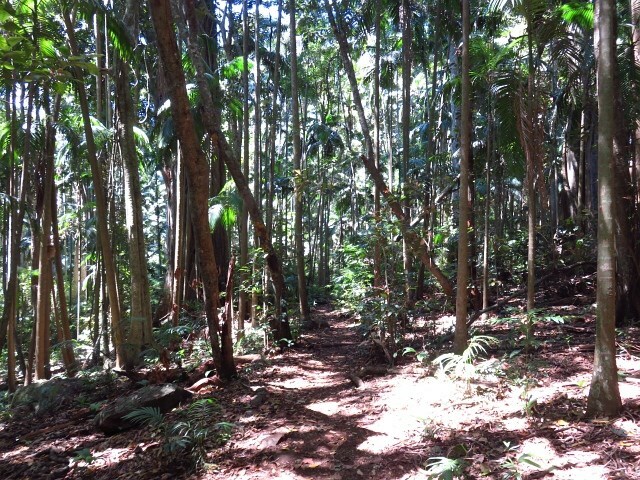 The conditions can change extremely fast always take rain protection.